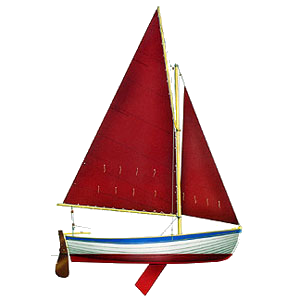 Traditional dingy, perfect for single-handed sailing but great with up to two crew. 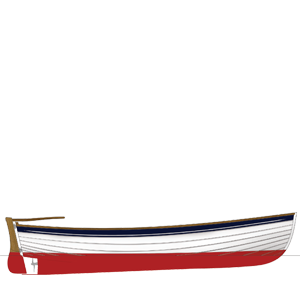 The Norfolk Urchin is the smallest boat in the Norfolk range and the smaller sister to the ‘Norfolk Oyster’. The Norfolk Urchin is immensely strong throughout, yet light enough to be easily handled on and off a trailer, or pulled up a beach. 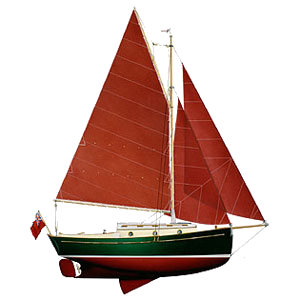 The Urchin has a ‘firm turn’ bilge hull ensuring safe sailing even in rough tidal harbours and estuaries. Her rig is a high peaked gunter mainsail with jib. 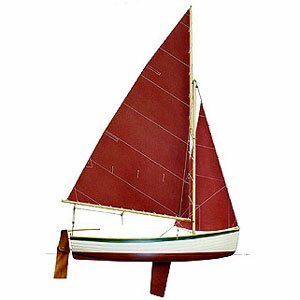 Her sailing performance is quite remarkable, particularly to windward and she will point almost as high as many racing dinghies. This ensures that the boat can be tacked up narrow creeks and estuaries, against the tide if necessary, without the need to resort to engine power or rowing. Full ‘built-in’ buoyancy is incorporated into the Urchin. The interior of the Urchin is roomy enough to sail safely with up to three adults, or two adults and two children. The internal layout of the boat incorporates adequate seating for crew and helm and a spacious forward stowage locker which is lockable. The boat has been designed to be powered by a 2.3hp Honda outboard engine which can be clamped onto the heavily reinforced transom. 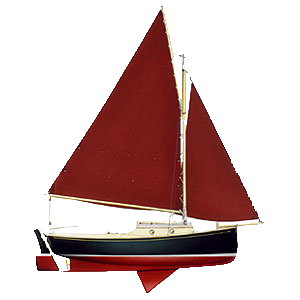 The boat can be sailed with the engine in-situ if required. The engine is adequate to propel the boat at up to 4 knots. The Urchin is also immensely enjoyable to row if you want to fully embrace the good old days of sail. There is a wide range of additional equipment for this boat including road trailer, covers, oars, engine, etc. 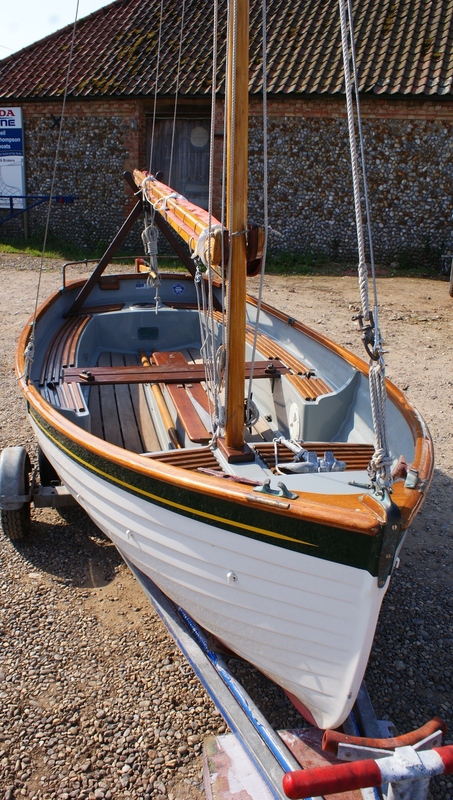 The Norfolk Urchin is a popular tender for Super Yachts as the photos on the gallery show. These yacht owners often comment that to have the Norfolk Urchin sat on the deck of their super yacht is to have an incredibly beautiful piece of furniture on deck to look at and admire. The Norfolk Urchin can be found in waters all over the world.